Today is my first bloggiversary! Have you entered my Bloggiversary Giveaway yet? I have learned so much in that time, about blogging, about the bilingual and kidlit communities, and about my own reading habits and work ethic. Here's to at least one more year of Perogies & Gyoza! What are you reading this week? Did you watch Venus cross the sun today? Are you reading any books on planets or the solar system? My very good friend sent a box of paperbacks to me, which totally made my week. It was full of great books, but the one I pulled out first was Micro by Michael Crichton. Mostly because she has been making fun of it recently. I guess it's like 50 Shades of Grey, interesting because of the cheese factor. My friend described it as Honey I Shrunk the Scientists, and she is right on. The flip side of Hawaii 5-0 I guess. My kids are into maps at the moment and we are going through the Once Upon A Time Map Book. It has maps of six fairy tale lands. The problem is my kids were only familiar with half the stories so we had to order more Usborne fairy tale books because my kids don't know Aladdin or The Wizard of Oz. I foresee a movie night this weekend! 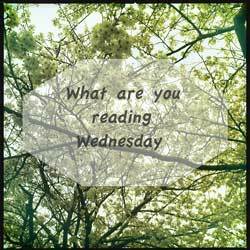 Tell me what literary pursuits you are engaged in this week! Ooooo I bet the map book is stellar. And hooray for the unexpected book load! Hooray indeed! It's fantastic to share books! Wow, you're description of Micro has me sold! Happy Bloggiversary! LOL, hope I didn't oversell it! Not reading anything at the moment, though wish I were. Congrats on the bloggiversary! Keep on going. What's keeping you from reading? Hope all is well! I am technically part of the way through a Janet Evanovich book but not really enjoying it. Having heard the name for years I was expecting a good read, instead I just feel a bit...meh. Think I will give up on it and start something else. What Evanovich book? I like the Stephanie Plum series, but none of her other ones. Lizzy and Diesel drive me up the wall. That's because she doesn't get it on with either of them until later books! It's Lula and the dirty parts that make the series. Congrats on your bloggiversary - that is a wonderful achievement, well done! I am trying to read Stephen King's 'On writing' but struggling to find the time. Xander and I are reading 'Jane and The Dragon' which is aimed at an older age group so he never makes it the whole way thru sadly, but mummy is infatuated with it so keeps trying.